The link above is a Fallout 4 danger heat map, with every Major and Minor points of interest broken into Zones. Includes a lot of places to explore and in very High Quality. 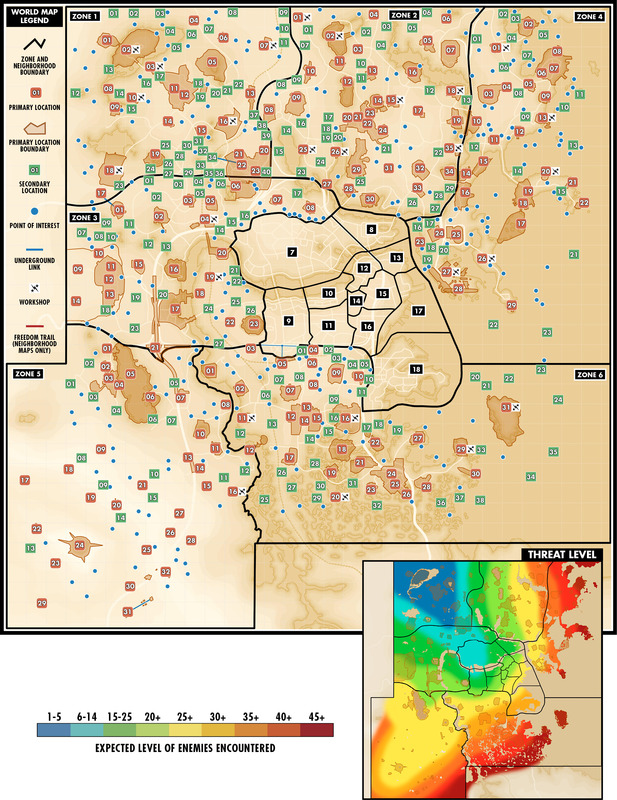 Click the Fallout 4 map above to view the full printable version.